Free Music - Clinark's special offer! Just like Clinark’s Official Facebook page to get Free Mp3's.I'm celebrating being No.1 in the national Reverbnation Charts. So giving thanks! You can download these free! 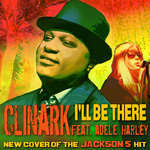 3.Dub version from the Clinark’s Journey to Foreign Deluxe Album. You can download these from this Free Mp3 Page here.